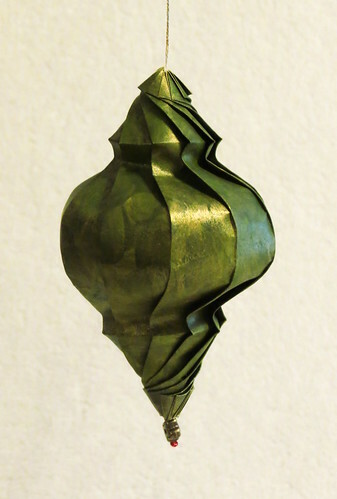 I was delighted to meet Rebecca Gieseking via Flickr... the origami objects she creates are sculptural fine art. 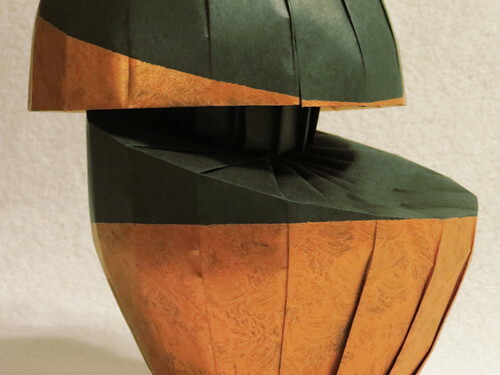 Rebecca admits she isn't an origami purist... To me, creating an interesting form is more important than following the traditional “rules" of origami. 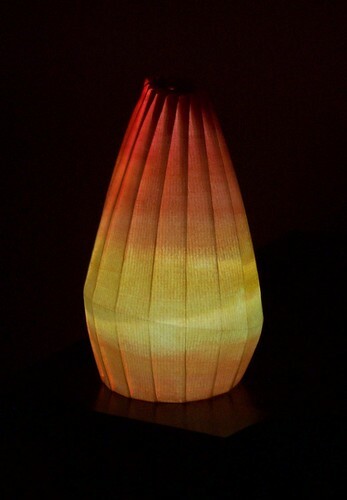 All of my designs are constructed from one uncut piece of paper, and the shape is created primarily by a combination of straight and curved folds. Most of my designs use glue to hold the paper in place. 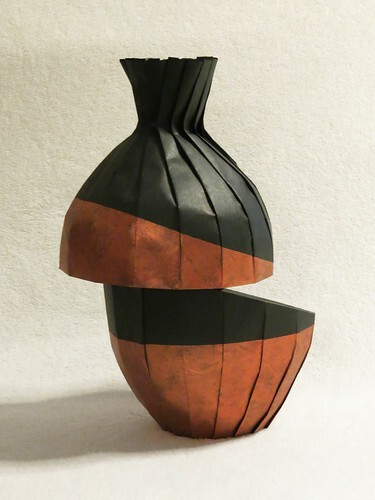 She is inspired by ceramics, wood, and glass, and frequently starts with rectangles, circles, or regular polygons of paper. 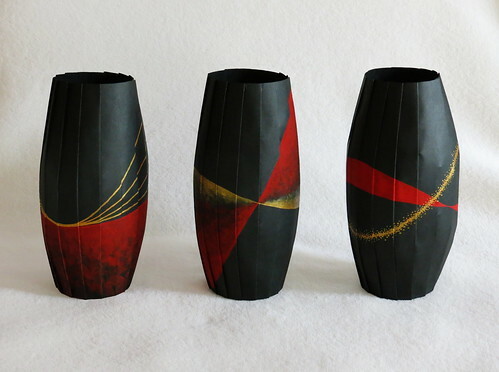 Rebecca often paints the paper with acrylics first and employs the wet-folding technique to create each piece. I think it's safe to say she is taking origami to new heights! Rebecca majored in art and chemistry in college. Although she began her studies thinking of the two fields as being completely separate, she discovered connections between them. The visual and creative training I received in art helped me in chemistry, particularly as I started doing research. In addition, my art became highly planned, logical, and organized, reflecting my scientific thought process. 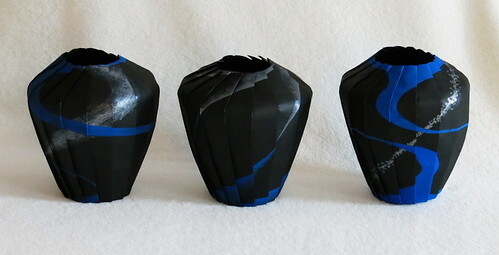 Although I focused on painting, origami was a recurring theme in my work. 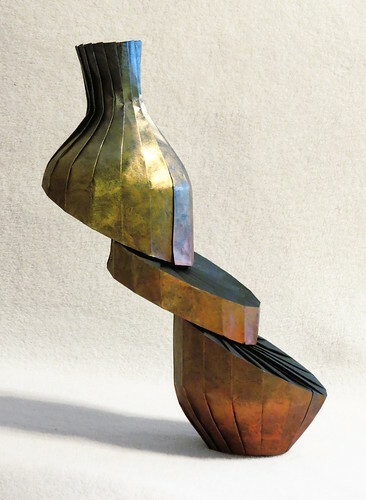 I see origami as lying at the intersection of art and science. This combination is what continually draws me back to the art of paper folding. Remember, Rebecca folds each example with just one piece of paper - remarkable! 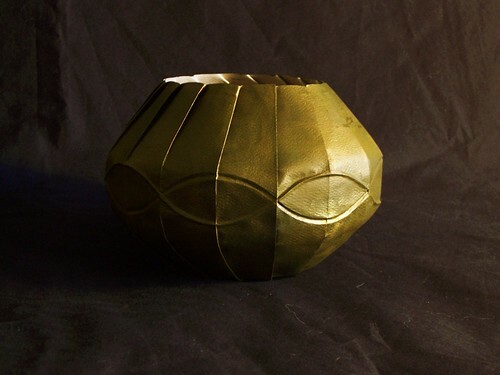 As recently as 2011, Rebecca began designing elegant origami bowls, vases, and ornaments that contrast precise folds with graceful shapes. Curious to know how she does it? You're in luck! 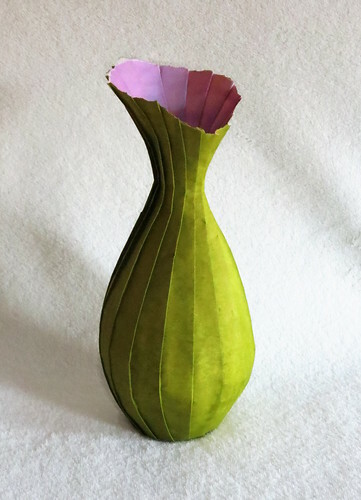 Rebecca shares patterns and tips for creating crease pleated objects. Her art is for sale in Georgia, U.S. venues, including the Robert C. Williams Paper Museum in Atlanta. Additional locations can be found on her website, as well as a contact link to inquire about a specific piece or to commission one. Another week has flown by and so it's time once again to wish you a great weekend. I'll see you back here on Monday... I'm already excited about the post that's in the works. People are so creative! Stunning!!!! I am so in awe of these never seen before origami designs. 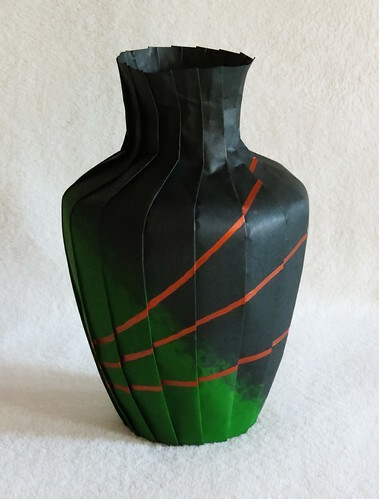 It is amazing how she achieves these( especially the double shift vase) from just one sheet of paper. So clever! !